The Folk Choir: TODAY! Our big concert! 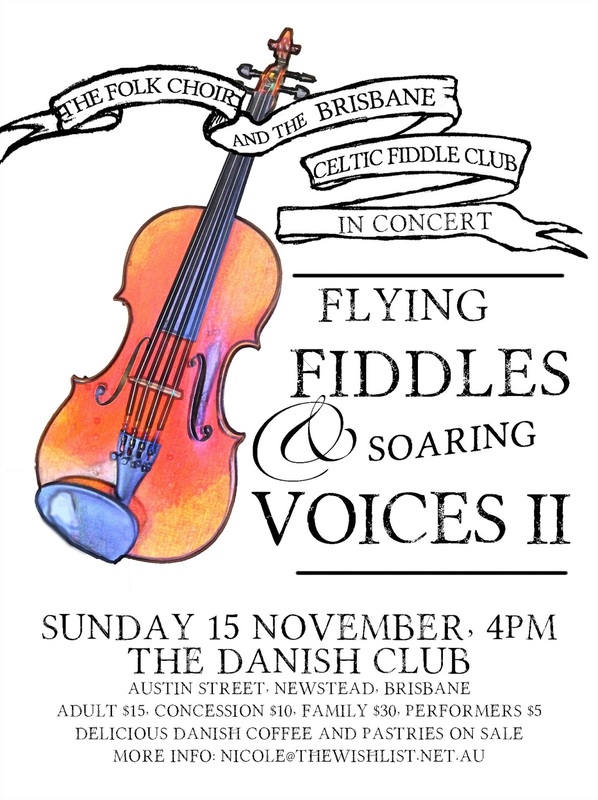 Flying Fiddles and Soaring Voices, our concert collaboration with the Brisbane Celtic Fiddle Club, is on today at 4pm, at the Danish Club in Austin Street, Newstead, Brisbane. We are showcasing some wonderful songs, and looking forward to singing a song with all those great fiddle players. Doors open 3.30pm, and there will be coffee and danish pastries on sale, and a raffle with four prizes! !